Carefully crafted by skilled professionals, DenMat’s Hartzell® diagnostic instruments have maintained the same high standards of manufacturing excellence established by their founders in 1935. To See Pricing Please Log In. Join the Smile Discovery Program® (SDP) to increase your esthetic business and grow your practice through unparalleled service, unique marketing programs and product discounts. Subscribe today to receive valuable educational materials and save on the products you use every day. 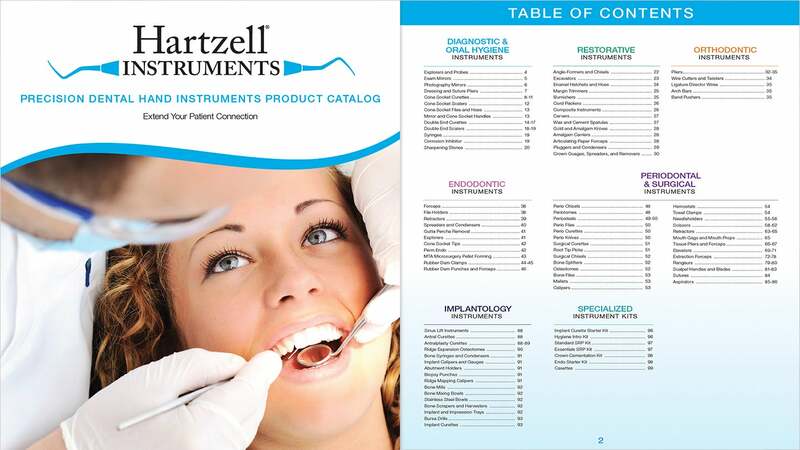 Download the Hartzell Instruments Precision Dental Hand Instruments Product Catalog as a handy reference when purchasing Hartzell Instruments.